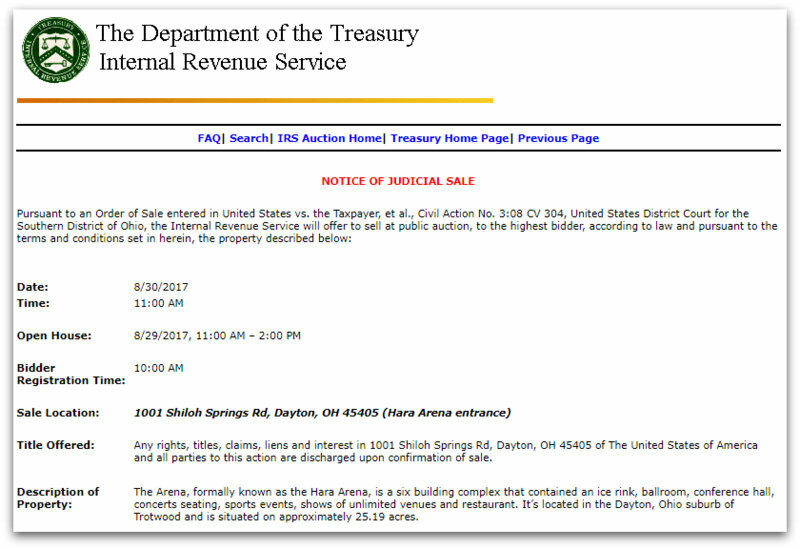 Many thanks to Dave Anderson (K4SV) who notes that the previous home of the Dayton Hamvention–Hara Arena–is on the auction block for back taxes. Click here to view the Notice of Judicial Sale on the IRS website. This entry was posted in Ham Radio, News and tagged Dayton Hamvention, HARA Arena on August 3, 2017 by Thomas. Many fond memories of Hamventions, gun & knife shows, concerts.